“Moonlighting” – the practice of having a second job – is relatively common among politicians in democracies. This also holds true for the European Parliament. 60% of the members have declared outside activities that can include regular employment, board memberships or other political mandates. 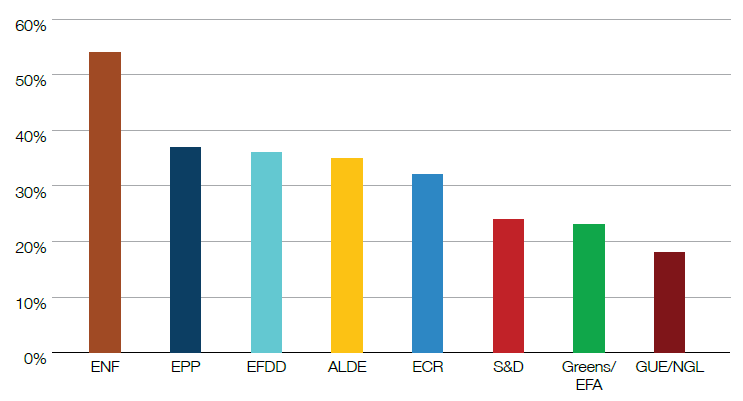 In total, the 751 MEPs have declared 1,366 activities, a 13% increase from the beginning of the mandate. 31% of MEPs now have paid side jobs. To gain a better overview of what members of parliament are doing outside of their legislative and parliamentary activity, Transparency International EU has analysed over 2,000 declarations of financial interest to find out. The results provide a detailed picture of what outside activities sitting MEPs have had been engaged in since their election in 2014. The common justification for second jobs is that they allow elected officials to stay in touch with their profession and to return to a previous job when they leave office. Others say it allows them to keep links to the realities of their electorate. Participation in unremunerated activities, by sitting on boards for example, can be beneficial for maintaining close links with the society. But having an outside job on top of a full-time activity as an elected member of parliament can also create conflicts of interests or prevent MEPs from devoting sufficient time and attention to their roles as elected representatives. This is not an automatic consequence. Not all paid outside activities lead to conflicts of interest. However, activities that generate large amounts of income, or are conducted with registered lobby organisations, or have started during the term in office present a greater risk of conflict of interests. Three MEPs currently hold paid positions in organisations on the EU lobby register. 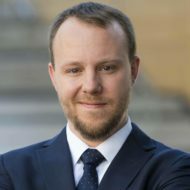 Viviane Reding is a board member for the Bertelsmann Foundation, Agnes Jongerius is on the supervisory board of PostNL and Paul Rübig holds a position with the Austrian Chamber of Commerce (WKÖ), representing the interests of Austrian businesses. 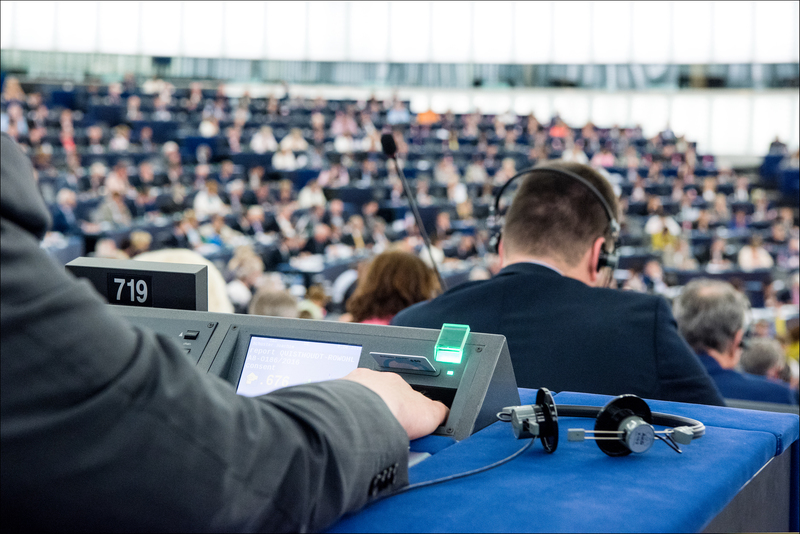 Such roles may not involve lobbying their colleagues in the European Parliament, but the MEPs concerned should make it clear that this is the case, especially in view of the explicit ban on lobbying activities in the European Parliament’s Code of Conduct. 49 MEPs have started new activities since the beginning of the mandate, four of them earning more than 100,000 EUR extra per year. Activities started during the mandate can have higher risk of conflict of interests as these are potentially directly linked to an MEP’s activity in the Parliament. High incomes are particularly worrying when the descriptions of the activities in the declarations are limited to “consultant”, “lawyer” or “freelancer”. The lack of detail makes it impossible for citizens, journalists or civil society to monitor these activities for potential conflicts of interests. By calculating the incomes declared by MEPs since they took office in July 2014, our research shows that MEPs have earned a total of 18 to 41 million EUR from side jobs. MEPs can only declare more money from outside jobs than from the compensation that MEPs receive from the taxpayer. The monthly base salary of MEPs is 8,484 EUR, but monthly gross income in broad ranges, leading to a strong disparity between the lower and upper range of our calculations. 35 MEPs have earned over 100,000 EUR on top of their official salaries as MEPs. Between 9 and 30 MEPs have earned earned more from outside jobs than the compensation that MEPs receive from the taxpayer. The monthly base salary MEPs receive is 8484 EUR, but most MEPs receive between 10,000 and 12,000 EUR per month after taxes and expenses when including allowances. Our full dataset is available below. Our analysis shows that all political groups in the European Parliament are affected by MEPS engaged in outside activities. There is however a strong disparity between the groups in terms of the average income declared by MEPs and the share of MEPs declaring outside income within their respective groups. Outside incomes are, for example, particularly high among members of the Europe of Nations and Freedom (ENF), which has the highest share of its members (54%) declaring paid activities. Outside incomes can potentially be used to channel payments to members in return for insider information or legislative action. They can also be used for illicit campaign or party funding. In 2011 three MEPs were caught by undercover journalists accepting payments to table amendments. The practice of moonlighting in the European Parliament has been regulated since the so-called “cash-for-amendments” scandal in 2011. To prevent such scandals in the future, the European Parliament introduced a Code of Conduct designed to govern, among others, the practice of MEPs engaging in outside activities. The objective was to disclose any potential conflicts of interests that might arise between outside activities and their work as MEPs and to prevent them from receiving any advantage in exchange for their activities as elected representatives. Despite the ethics infrastructure that has been put in place with the Code of Conduct in 2012, ethics oversight in the European Parliament remains weak. The current system is not independent with the President of the Parliament having the sole responsibility for enforcing the code. In the past five years, there have been at least 24 breaches of ethics rules, yet not a single one has led to sanctions. Only in one case has there been a reprimand. Repeatedly, members have been found not to declare activities, gifts over a certain value3 or invitations to events. MEPs have for example failed to declare trips paid by foreign government organised under the guise of so-called friendship groups, as well as trips financed by the Azerbaijani government to observe the Presidential elections of 2013. Both Presidents of the current legislature, Martin Schulz and his successor Antonio Tajani, have consistently opted not to sanction violations of the Code, despite the Advisory Committee having substantiated numerous breaches. When revelations are made in the media or through the investigations of watchdog organisations, members are simply invited to submit an updated declaration. This situation, of course, gives little to no incentive to provide accurate declarations in the first place. This system seems particularly weak in comparison to the ethics regimes in Canada, the US or France. In the United States for example, members of Congress are not allowed to have paid outside activities in professions where there is a risk for conflict of interests (banks, consultants, lawyers etc…) and they cannot receive payments for speeches or board memberships. Any outside income that exceeds 15% of their salary is paid into the US federal budget. In France, an independent authority monitors ethics violations with far-reaching investigative powers including, for example, access to tax declarations. establish an independent ethics oversight body to investigate and sanction violations. * The top 30 MEPs with highest total minimum and maximum outside income earned since the start of their current mandate until 3 July 2018. It is the responsibility of the MEPs to provide accurate information on their outside income. Transparency International EU has calculated these figures by multiplying the gross monthly income declared in their declarations of financial interests to the European Parliament by the number of months in office, taking into account changes when MEPs provide multiple declarations over the course of their mandate. One-off payments have been added to the totals in our calculations. This list was correct at time of publication on the 10th of July 2018. ** Before 2017, the highest category of income was 10,000+ with no specific figures provided. Since the changes introduced in December 2016, MEPs must provide the nearest 10,000 figure when earning above 10,000 EUR. For older declarations, we made the assumption that MEPs were earning exactly 10,000 EUR, unless another figure was specified or provided in a more recent declaration. This means that the incomes of MEPs could have been higher than the numbers indicated here. *** When contacted for this report, these MEPs have informed us of lower incomes than originally declared. Under the Code of Conduct MEPs are solely responsible for the information declared and have till the end of the month following any change occurring to update their declarations. In the case at hand, the changes to incomes far exceed the reporting deadline in the Code of Conduct. Due to time-constraints, MEPs were not in a position to provide supplemental verification of the changes to their declarations. Therefore, we have opted to remove the names at this time. Please note that the table has changed since the original publication date on 10 July 2018. Contact us for any questions regarding the data.